NASHIK, MAHARASHTRA - Before the Singh Sabha renaissance, in the late 19th century, puja and worshipping of Hindu idols at Sikh Gurdwaras was a common site – even the sacred Sri Darbar Sahib Harmandir Sahib complex was not spared at that time. Could the same situation re-occur? Possibly, but in another slightly twisted manner. Commenting on this phenomenon , the famous British historian Max Arthur Macauliffe, concluded that Hinduism was like “the boa constrictor of the Indian forests” and when “petty enemy appears to worry it, it winds round its opponent, crushes it in its folds, and finally causes it to disappear in its capacious interior....Hinduism has embraced Sikhism in its folds; the still comparatively young religion is making a vigorous struggle for life, but its ultimate destruction is, it is apprehended, inevitable without State support." The clever Brahmins in the form of Rashtriya Swayamsevak Sangh, Vishva Hindu Parishad and other right-wing Hindu lobbies have since discovered that if they cannot successfully install of Hindu deities inside Sikh Gurdwaras, they would instead build their own “Sikh Gurdwaras” inside Hindu complexes. This is in line with their belief that they recognize Sikhs as part of the greater Hindu pantheon. Recently, a Sikh organization, Young Sikh Leaders (YSL), filed a complaint to Sri Akal Takht Sahib regarding a mock-up replica that was created of Sri Darbar Sahib Harmandir Sahib in the central Indian city of Nashik (Nasik) in which large Hindu statutes of Ganesh (Ganpati) were installed at a makeshift “parkarma” and parkash of the Sacred Saroop of Sri Guru Granth Sahib Ji has been done inside the “Darbar Sahib”, complete with Sikh Ragis and Granthis performing keertan “seva” as in the real Harmandir Sahib. The idea of this entire arrangement is to mock and mimic the look and feel of Sri Darbar Sahib, Amritsar under the control of idol worshipping Brahmins. This is not the first time either. One wonders why the sacred Sri Darbar Sahib of the Sikhs is always made the target by these people. There are never reports of anyone setting up mock ups of Mecca or Medina, or of the Vatican. According to YSL, this has been going on for the last four to five years, and the local Sikh community has turned a blind eye to all this and does not seem to be bothered with the ongoing beadbi of Sri Guru Granth Sahib Ji and violation of the Sikh code of conduct which specifically forbids the performing of non-Sikh rituals and the installation of idols. Similar cases of intentionally intermixing of Sikh and Hindu rituals and traditions are occurring all over India and abroad, including the now infamous Nij Thao Mandir of Lachman Chela Ram. 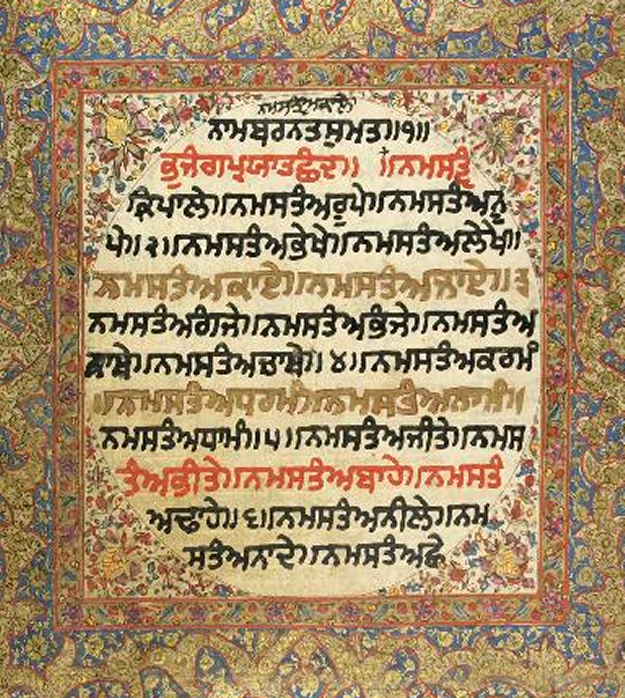 Recently it was discovered that around two thousand five hundred (2,500) Sacred Saroops of Sri Guru Granth Sahib were found torn-up, and soaking in filthy sewerage water at a warehouse owned by Lachman Chela Ram. Not too long ago, similar a mock of Sri Darbar Sahib was also created at Park Circus in Calcutta. Hindu idols were installed inside this complex also. Sri Akal Takht Sahib and the local Sikh community need to be more vigilant about these ongoing sacrileges and stern action against the perpetrators. Otherwise to allow the continuation of such practices will further infuse into Sikhism the very Brahmin practices our Guru Sahibans condemned – and scholars like Macauliffe’s forewarned over one hundred years ago. View report on above incident by: Young Sikh Leaders organization. Just like fake rumors of QURAN BURNING and RIOTS on the STREETS! Its these times when Sikhs need one VOICE and MEDIA! Let's see if those faking this can be punished? Let's see if those performing this act, can be punished? Funny for ANTI-PANTHIC forces "THEY FAILED AGAIN!" It is very inappropriate and step should be taken for trying to build replica of Sri Darbar Sahab. But I dont think installing murtis are wrong, because where do Guards stand in the Sabha finally? lol. This is the Darbar of Waheguru and shalli ram's and gulli rams are guards and sewadars of Waheguru and Khalsa Enjoy the Sangat of Sri Guru Granth Sahab JI. So let them be Guards, but beware.